Multipurpose Shears for a Wide Variety of Uses;Whether it's cutting;cracking nuts or even snipping;the Story@Homes Multifunction Scissor are an ideal tool to possess in your kitchen toolbox.From deboning and scaling fish to opening bottle caps and peeling vegetables;these shears can perform a multitude of tasks with relative ease. • Featuring steel teeth at the centre;you can use these shears to crack tough nuts as well as seafood shells. 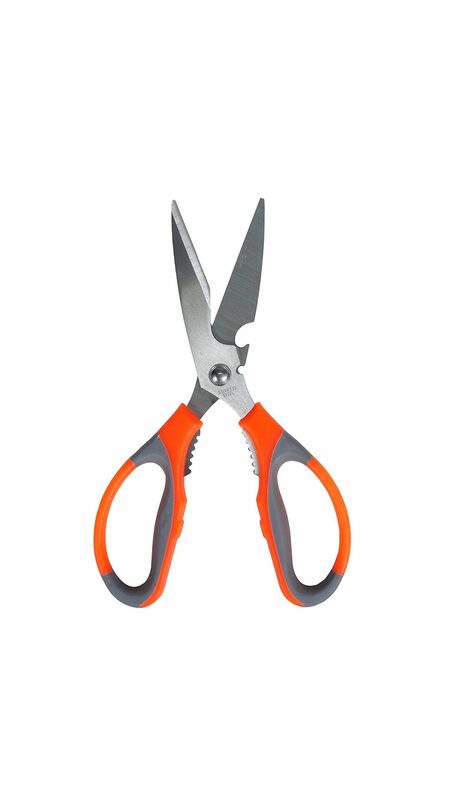 • Made from High Quality Materials for Long-Lasting Use;Featuring sharp stainless steel blades;the Story@Homes Multifunction Shears can easily cut and slice through most household tasks with ease. At the base;this tool features ergonomically contoured handles that provide a comfortable and non-slip grip to help you perform your tasks without any hiccups. Whether hung from a hook or tossed in a drawer;the handy tool will quickly become a go-to favorite for getting the job done. • A must-have for any busy kitchen;the Story@Home premium kitchen shears offers exceptionally versatile everyday convenience. Featuring steel teeth at the centre;you can use these shears to crack tough nuts as well as seafood shells.